Anyone with biographical information is asked to please send it in. See CONTACT page for details. Thank you. 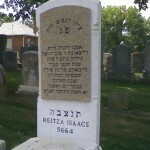 Notes: Part of the Jewish Cemeteries of Greater Cincinnati Association located in the Price Hill section of Cincinnati. 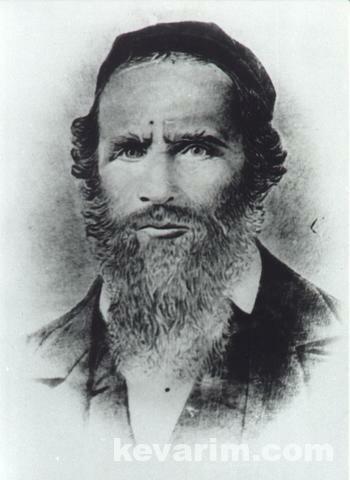 Rav Isaacs founded Congregation Bet Tefillah in 1866, a synagogue which was commonly known as Reb Shachne’s Shul. 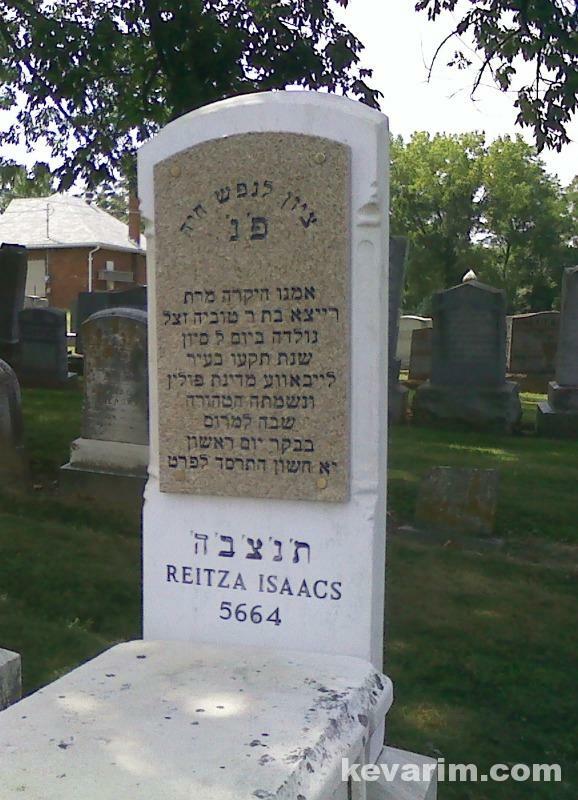 I am grateful to David Hoguet the Executive Director of Jewish Cemeteries of Greater Cincinnati for locating the Rav?s grave. 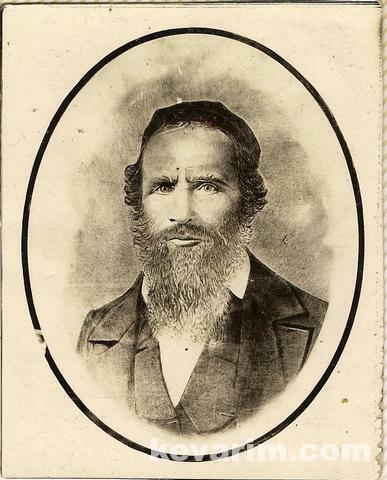 Reb Schachne was my great-great grandfather. Thanks so much for locating the kever and posting the photo! Reb Schachne was my second great grandfather. Thank you so much for the photo. I am so happy to know where he is. Now Benhurachmon here http://ivelt.com/forum/viewtopic.php?p=385708#p385708 did a better job. The new Matzeva is totally unreadable and a whole big mistake. As you can see, both matzevos have been corrected. There had been a well-meant but defective effort to restore the markers, but now they are better than new and hopefully will be readable for a few more centuries. Looks as if we are settled with this now. Thanks for your interest. 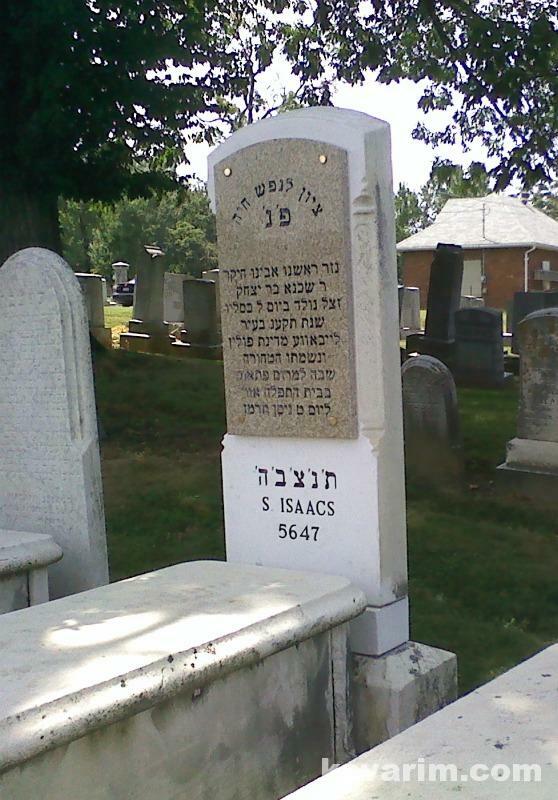 Dan / Nancy… was Rav Shachna the paternal grandfather of Moses Isaacs, SIL of Rabbi Dr. Hillel Klein? 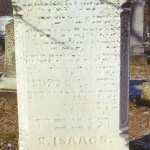 Rabbi Shachne Isaacs is my Great-Great-Great Grandfather. 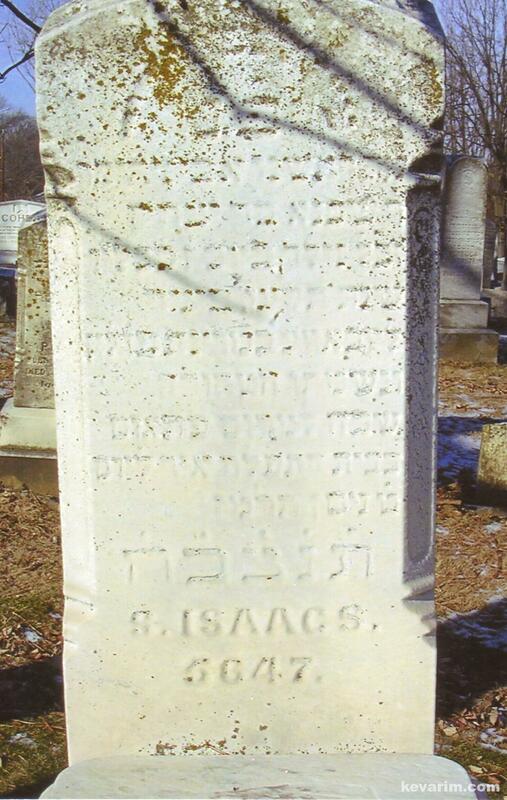 My Great-Great-Grandmother was his daughter, Rachel Rose Isaacs Friedman, after whom my mom was named. Good to hear that his gravesite is being well-maintained! Dear Kit and Dan – we are cousins! 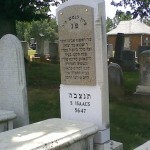 My grandfather is Abraham Isaac Levin, the son of Rebecca Friedman, who is the daughter of Rachel Rose Isaacs Friedman and Abraham Isaac Friedman. Rachel Rose was one of the daughters of Schachne Isaac. I live in the Cincinnati area; are you located nearby?